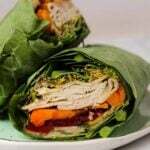 Use collard greens as a low carb and nutrient packed wrap! 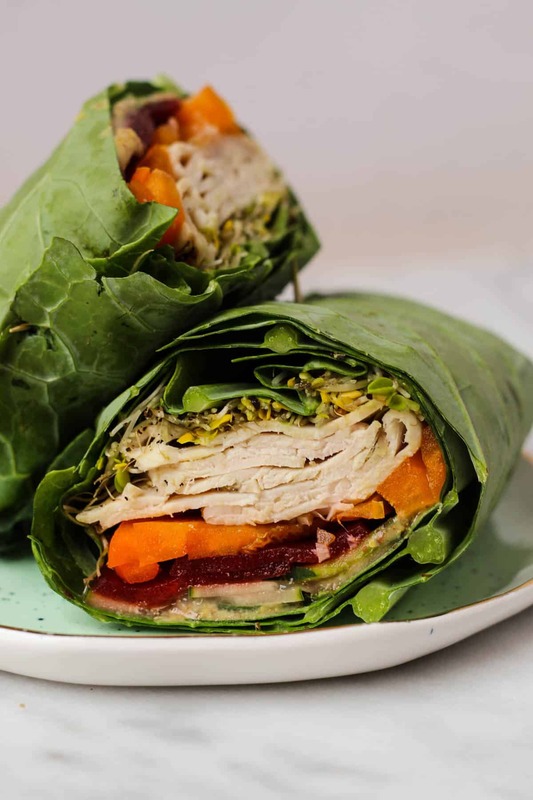 These Turkey Collard Wraps are customizable to your liking and paleo and Whole30 approved! 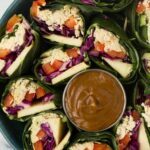 If you follow me on Instagram, you know I love a good collard wrap. I usually have one at least once a week #wrapitupwednesday. 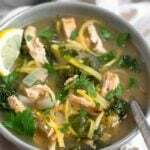 Even though I change it up every week, I figured it was about time I get a simple recipe for one on the blog. 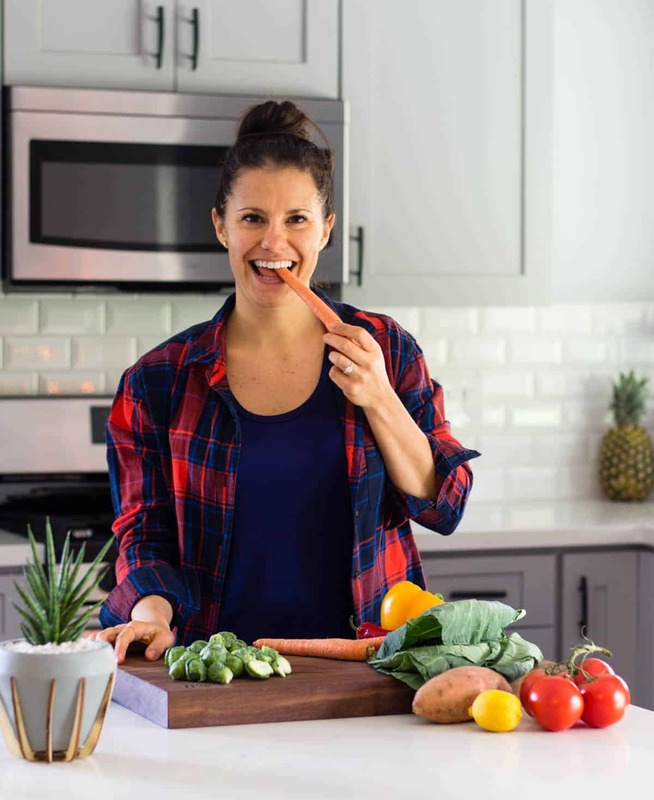 Funny thing is, this isn’t my first collard wrap on the blog – I have a breakfast burrito one that was one of my first recipes a couple years ago. Funny how it all comes back around. 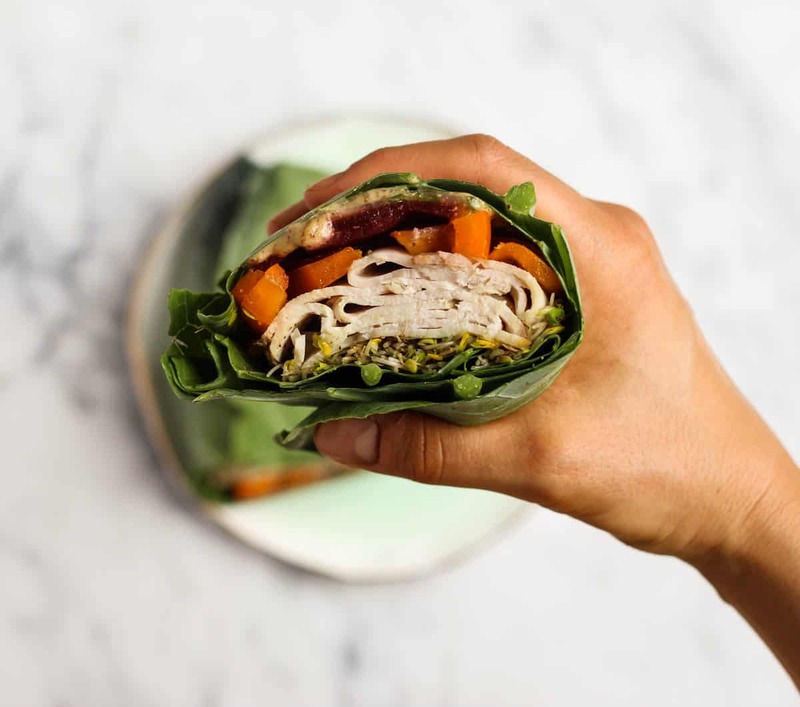 The thing I love most about these collard wraps – besides the fact that you are getting in more veggies with the actual wrap – is how customizable there are. While I definitely have my favorite things to stuff in them, you can really add whatever you want and it will be good. It mostly comes down to what I have in my fridge. I’ve gone as random as smoked salmon, egg whites, rice, goat cheese, cucumber, and salsa in one (clearly I needed to go grocery shopping) and it was still bomb. 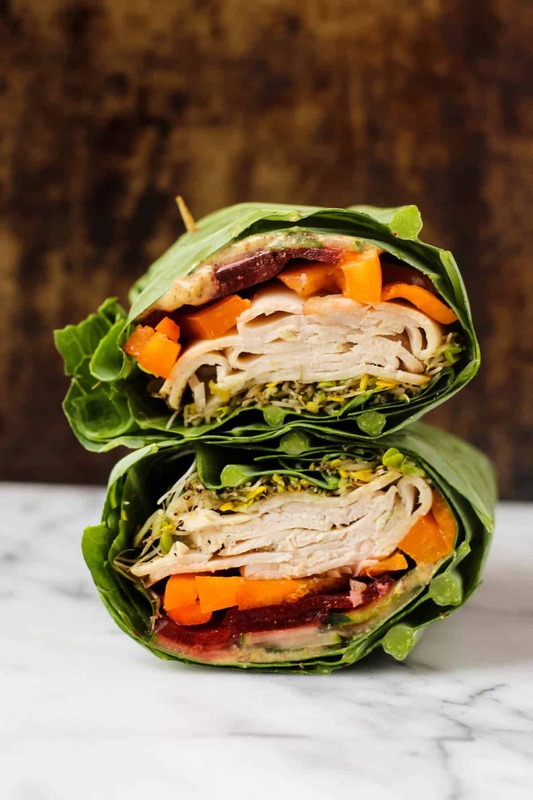 This turkey collard is packed with lean protein and veggies, which keeps it low carb. If you don’t like an ingredient listed, feel free to stuff whatever you have on hand in there. Some of my favorite things to use are beets, carrots, cucumbers, peppers, avocado, fried egg, and sprouts. 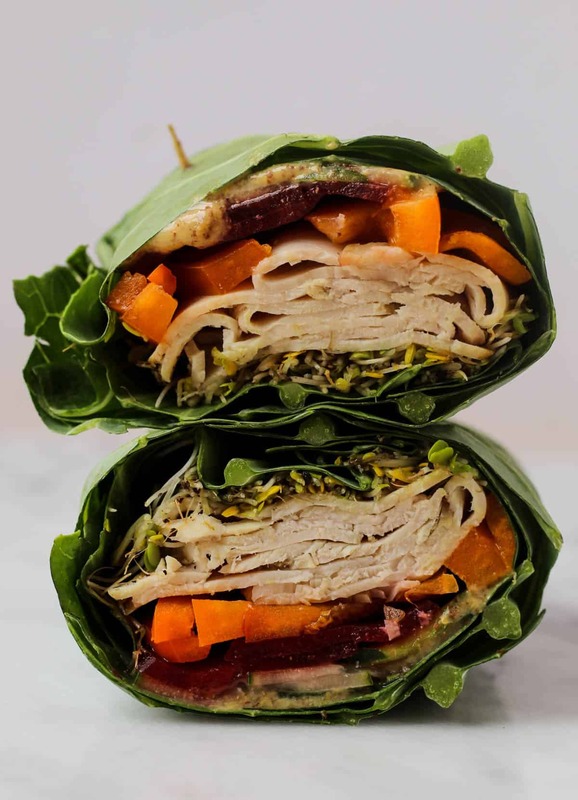 The sprouts give the wrap some volume plus they give you some extra vitamins and minerals! Honestly whatever you put in there will work. I promise. I am known for some weird food combos, but I won’t lead you wrong. Just trust your gut…or whatever you fridge has on hand. Either one works. I usually pair these with some carbs and fats since by itself, the wrap is low in both of those. If you aren’t on a Whole30 and eat grains, I love stuffing some quinoa or rice in them as well. I have even thrown sweet potatoes in too! PS – what is a sandwich without chips? 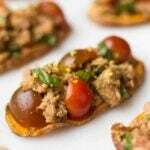 If you are not doing the Whole30, stuff some chips in there! It makes are a good crunch and you feel like a kid again. Lay collard leaves down on a flat surface. Layer so that two of them are on slightly on top of each other (stems overlapping) and the third in the middle above them. It should look like a big tortilla - see video above. 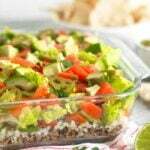 Add ingredients in the order listed, laying on top of each other like you would building a wrap/burrito. Once everything is added, place the last collard leaf on top - this helps hold everything in place. Start to roll the the collard greens like you would a burrito - fold in the outside ends and roll going away from yourself. Be careful to make sure nothing comes out. Pin with a few toothpicks to hold in place and cut in half. I’ve never had collared greens before. 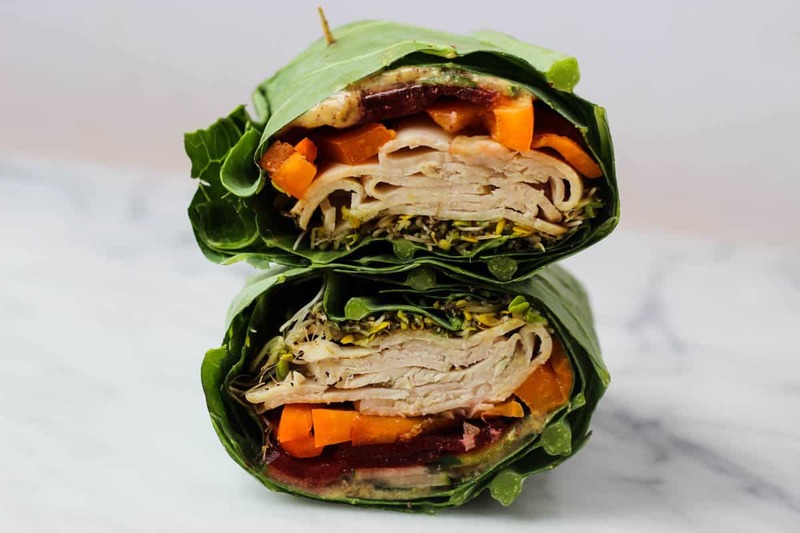 The next time I go to Sprouts I need to get some cause these wraps look so fun. I love making them! It adds a fun twist to your regular tortilla. Let me know if you like them, I know some people find them bitter tasting. Haha! The leaves and the toothpicks are so key! I can’t get Michael on the collard wrap train yet, that guys tortillas too much haha.